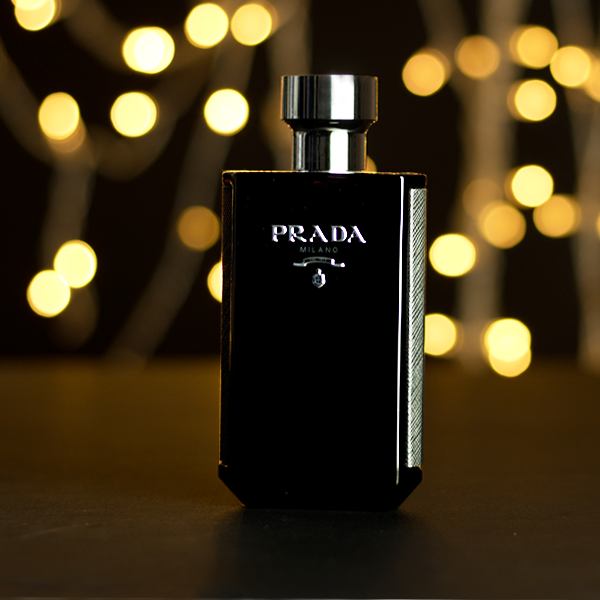 Prada is one of the few designer brands that has approached perfumery with a house style. You can sniff out a Prada fragrance in an identity parade of scents, no problem – it’ll be the gloriously fizzy velvet-like one amongst the motley crew of mainstream muck. Prada simply stands out. They are one of a handful of houses that work exclusively with one perfumer (the incomparable Daniela Andrier), and with their perfumer they have worked to craft a Prada signature through the use of orris, one of perfumery’s most luxurious ingredients. So yes, Prada fragrances are distinct and they are undeniably ‘Prada’ too. Last year, Prada launched two flagship signature fragrances: La Femme Prada and L’Homme (read the review here). 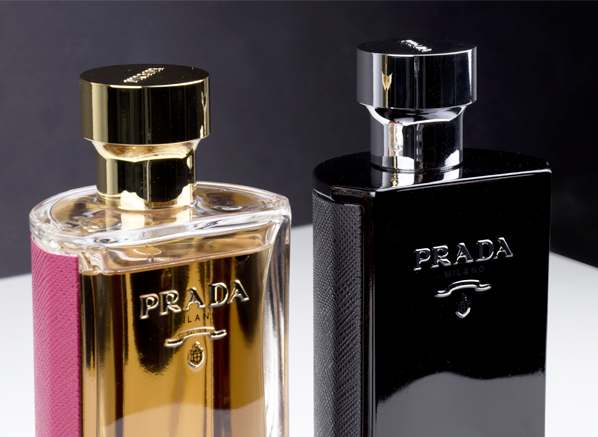 These two fragrances were created to encapsulate the essence of the Prada woman and man – those that believe in luxury, beauty, refinement and quality in everything. Well, this year it looks like the Prada woman and man are in for a treat because their favourite brand has just launched intense versions of their signature scents. La Femme Prada Intense and L’Homme Prada Intense are excessive, indulgent and wonderfully decadent olfactory treats that, like every fragrance from the brand, feel absolutely ‘Prada’ in every way. Last year when I reviewed La Femme Prada, the original, I described it as a “floral with a capital ‘F’” and as one would expect from the name, the intense version is even more so. I feel almost as if the flowers that La Femme Prada so vividly showcases have been dipped in gold in this intense Eau de Parfum. There is shimmer and shadow a plenty, allowing for a deep and sensual floral oriental fragrance with as much darkness as light. So how does La Femme Prada Intense actually smell? Well, It opens with a wonderfully gleaming dose of citrus that shimmers like gold leaf before unleashing a wave of iridescent tropical blooms. The sweetness of frangipani drips like honey, whilst the freshness of orange blossom amplifies the citrus notes. Tuberose and jasmine bring a solar effect that is bright as dawn, whilst the warmth of vanilla sends the fragrance into a deep, halcyon sunset. La Femme Prada Intense is everything that is wonderful about Prada – it is beauty and glamour at its very finest. 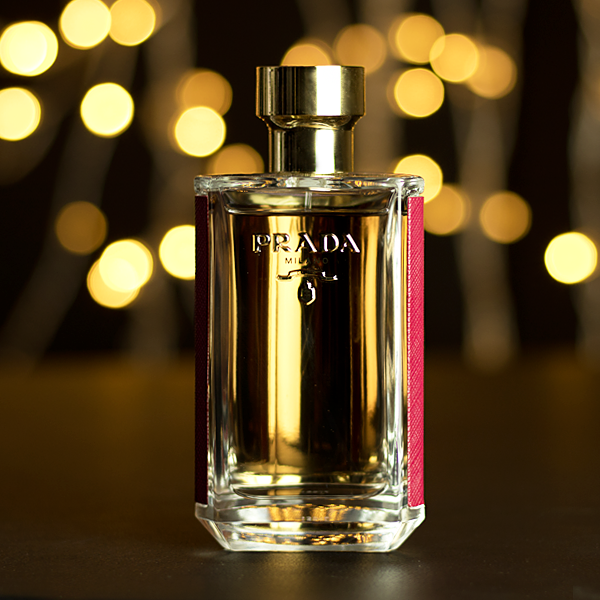 Where the feminine edition in this duo takes the original and just makes it more, the masculine takes a different direction, leading the composition of L’Homme Prada into territories that are richer, warmer, and in a complete change of tack, much sweeter too. L’Homme Prada Intense is not only more intense, it’s also more luxurious and elegant, making for a handsome masculine fragrance that plays as the perfect compliment to La Femme Prada Intense. In this version of L’Homme Prada the grey woods and iris have all been refined into something much smoother and less grainy. The colour has shifted from a pallet of grey neutrals to a selection of blacks and browns – colours that suggest things like mahogany and black leather. The warmth of amber and the creaminess of sandalwood give L’Homme Prada a smooth, almost glossy feel, whilst the addition of tonka bean creates a roasted, nutty and almost caramel-like base that makes the fragrance decadently sweet, but ever so softly so. L’Homme Prada is a ravishingly good masculine. In fact, I dare say that I prefer it to the original, which is saying something. This entry was posted on Thursday, September 21st, 2017 at 11:34 am and is filed under Brand Focus, Candy Perfume Boy, Fragrance, Men, New products. You can follow any responses to this entry through the RSS 2.0 feed. You can skip to the end and leave a response. Pinging is currently not allowed.